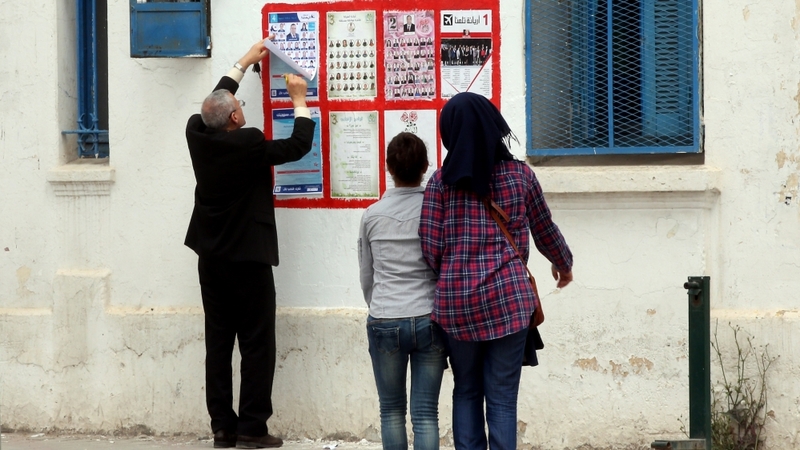 Tunisians will head to the polls on May 6 to vote in the country's first free municipal elections since the removal of President Zine el-Abidine Ben Ali and his government in 2011. Having been postponed four times, the elections come as a relief to many Tunisians who, at times, have seen some of the most basic services disrupted as a result of the political uncertainty that followed the revolution. The country's municipalities have historically been overshadowed by the Tunis-based central authorities, which left little to no room for deliberation and progress to take effect in the rest of the country, especially in the rural and less industrialised interior regions. Ben Ali's final budget prior to his overthrow allocated a mere 18 percent of state funds to the inner regions while 82 percent went to the coastal towns. Long touted as the Arab Spring's lone success story, Tunisians increasingly sense that the revolution has failed to deliver on its promises and fix this imbalance. Nevertheless, between juggling the needs of Tunisia's international lenders and allaying local grievances, authorities have managed to present a semblance of stability in the Arab world's only democracy. With campaigning already under way, Tunisians hope that the upcoming elections, seen as a step towards decentralisation and local empowerment, will help reverse the imbalance. Following the revolution, existing 'elected' councils - if only in name - were dismantled and replaced with special delegations appointed by the transitional authorities. Accountability proved to be a real challenge as members of these councils were not chosen by the people and therefore could not be held in check. Moreover, infighting within these communal bodies interrupted the course of life for many ordinary people. From building permit acquisition to waste management, delays played a big role in people's disenchantment with the new 'democratic' mode of governance. To be sure, the economy's sluggish recovery in conjunction with the government's unpopular austerity measures - an effort to placate international donors - have also contributed to popular discontent. Citing recurring absenteeism and negligence of duties, the Ministry of Environment and Sustainable Development announced in November 2016 the replacement of 13 special delegations throughout the country. A 2015 report by the World Bank found that only four percent of households claimed to have received any information from their local representatives, while 64 percent thought their delegates did not work to advance their interests. The report notes that the country's pre-revolution, highly centralised form of government had further complicated the task of building trust between the government and its citizens. Tunisian politics, in the years leading up to the revolution, had been characterised by a rigid centrist structure where decisions pertaining to issues of local governance fell under Tunis's purview. The central authorities' distance - both real and imagined - meant that many of the periphery's struggles went unanswered. Tunisia's 2014 constitution sought to remedy those ills by making the state's commitment to decentralisation an explicit and pivotal instrument for change (Article 14). Even by regional standards, the country's budget allocation to municipalities is an anomaly. While Morocco devotes 11 percent of its budget to local bodies, the number drops to four in the case of Tunisia, a far cry from Denmark’s record 62 percent. According to analysts, the new constitution could be seen as a catalyst for grassroots democracy and equitable development of the country's diverse regions. They warn, however, that this depends largely on the powers these emerging players are entrusted with. 'Perhaps most important … is what the powers of new local elected officials will be; if they will even have access to funds to make decisions autonomous from central state institutions', Fadil Aliriza, an independent journalist and researcher based in Tunis, told Al Jazeera. If the law governing municipal councils is not passed before the elections are held, then what they're effectively going to have are elections that kind of gin up the idea that these municipal councils are going to be a panacea. A new municipalities law, currently being debated in parliament, is expected to be enacted by May 6, the day of the elections. If passed, the law would significantly expand municipalities' scope of work, their autonomy and funding. Monica Marks, a political analyst and expert on Tunisia, echoes Aliriza's sentiment, saying that, if the elections are to achieve anything, a legal framework governing these bodies and setting the boundaries is indispensable. 'If the law governing municipal councils is not passed before the elections are held, then what they're effectively going to have are elections that kind of gin up the idea that these municipal councils are going to be a panacea,' she says. The current law - which dates back to 1973 - recognises neither their administrative nor financial independence. Earlier in March, the election monitor's chief, Mohamed Tlili Mansri, announced that seven lists had been rejected for failing to respect the gender parity principle. One of the law’s other key features is the requirement that at least three candidates under the age of 35 and one disabled person be included in each electoral list. Here again, the elections monitor's numbers show significant interest on the part of society's younger segments. Over 50 percent of candidates are under the age of 35. While the number of young candidates is commendable, it remains to be seen the youth 'will actually get out and vote', Aliriza said. Analysts unanimously agree that Tunisia faces a plethora of domestic, regional and international challenges. These are amplified by porous borders in the Sahel sub-region and a fragile security climate in the immediate vicinity with, most markedly, a civil war raging in neighbouring Libya. Tunisia's ability to get itself out of economic crisis has been severely hampered by its increasing dependence on foreign loans and the conditions that come with these loans that in many ways exacerbate this very dependence. 'Tunisia has a very tough neighbourhood. It's not like Eastern European countries that went through democratic transitions in the 1990s and had the European Union acting as an economically stable carrot to draw them in', Marks said. The country has made strides towards facilitating foreign investment and becoming more business-friendly - most recently by enacting a new start-up law - but these reforms pale in comparison to what international financial institutions (IFIs) are demanding. 'Tunisia's ability to get itself out of economic crisis has been severely hampered by its increasing dependence on foreign loans and the conditions that come with these loans that in many ways exacerbate this very dependence', Aliriza remarked. The local dinar lost about 20 percent of its value against the euro in 2017 alone and is expected to depreciate some more this year, making Tunisian exports more competitive. While there is a conversation inside IFIs about the importance of adjusting governance and combating corruption, Marks believes that these asks have not been as well absorbed by Tunisia's political elite as subsidy cuts, which affect the poor the most. Earlier in March, legislators voted to end the mandate of a human rights commission charged with investigating rights abuses and corruption under Ben Ali and his predecessor, Tunisia's founding father, Habib Bourguiba. Legislators from the president's Nidaa Tounes party - who voted to end the Truth and Dignity Commission’s work - allege that the tribunal's president, Sihem Ben Sedrine, had ample time to fulfil the work but failed in her duties. The government enacted a controversial reconciliation law in September 2017 granting amnesty to Ben Ali-era officials. Critics say Nidaa Tounes is worried about corruption charges being levelled by the tribunal against some of these officials, who now hold key cabinet positions. Ultimately, elections are not in and of themselves expected to resolve the problems that afflict the country, analysts say. It is rather hoped that the new mechanism will offer an avenue for people's frustrations to be addressed. Aliriza thinks that Tunisian legislators still have time to forge sound economic policy but that 'their priorities so far have not been helping the poor and middle classes. WATCH: How will Tunisia recover from its economic woes?